What is NAND and when does it need data recovery? Almost all the portable storage device we use today depends on NAND flash memory for doing its job. You will find NAND chips inside your phone, SSD, memory cards, thumb drive and other devices that require high-capacity data storage. 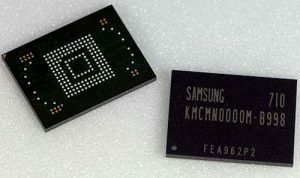 NAND flash media operates quickly and silently and is smaller in size than other types of storage media. They consist of printed circuit board that is covered in rubber or plastic casing. You can plug them to your computers or other device via USB ports or special adapter. NAND flash memory is generally preferred over other storage media while transferring files is due to their fast speed, large capacity, and small size as compared to other portable media. Flash memory is an extremely fragile form of data storage that should be treated with great care. How can you Lose Data from a NAND Flash Drive? One of the most common reasons for NAND flash drive failure is removing the media incorrectly from the computer or other device. Doing so results in logical file system damage. Basically, in such situation, the drive is not actually damaged but your data is lost. To extract information in this kind of failure or to recover deleted files, you need help from professional data recovery services. The best possible way to avoid data loss is to frequently backup all your important data. A single point of failure can lead to data loss if you don’t have a verified backup. So, taking a proper backup is the preferred option. It is also important that you use a reliable NAND flash memory for important application and critical data. Also, you should always make sure to remove flash media safely and don’t unplug the drive when it is reading or writing. Removing the flash drive incorrectly can corrupt your data. And if you don’t these important steps then flash drive recovery will be the only option left to you. NAND flash memory devices are faster as compared to other portable storage media; also they have higher storage density and contain no moving parts. But, no matter how reliable your storage device is, sooner or later it will fail. So let’s take a look at the NAND date recovery processes. It is a widely used method that can bring your lost data back but only if the device is in working condition. However, if the device has malfunctioned and it’s no longer recognized by the system, logical recovery method is useless and then the only method to recover data is the tedious chip-off method. It includes operations such as ECC detection, Bit error analysis, Reading Physical Image, Physical images extraction. These operations are required to have dump to the memory chip of your used device. From here, the controller that is in most of the cases the reason for the trouble handles: Page Structure or XOR and virtual block sizes. They together are part of flash translation layer, responsible for handling the I/O operations to and from NAND chip. In the process of reconstructing data from ‘Data Dumps’, small NAND Flash microchips are used. These are unscrambled and very complex algorithm. Datadoctor uses a process that takes the unscrambled NAND files and assembles them again into a single disk image, allowing Datadoctor to recover your NAND files in its original state. Data doctor is one of the few companies that has specialized knowledge to recover vital NAND data from any device. NAND data recovery is a highly specialized process or science of salvaging and handling the data from failed, corrupted, damaged, or inaccessible digital storage media when it can’t be accessed normally. Data doctor can recover data from NAND flash devices whether they are unrecognized by operating systems, physically damaged, or unmounted in cameras and other devices.